Each Bicycle Friendly Community℠, Bicycle Friendly Business℠ and Bicycle Friendly University℠ recognized by the League is different. Each with their own natural benefits and challenges — from climate and topography to culture and population density. But there are essential elements across five categories — known as the Five E’s — that are consistent in making great places for bicycling. The most visible and perhaps most tangible evidence of a great place for bicycling is the presence of infrastructure that welcomes and supports it. Survey after survey shows that the physical environment is a key determinant in whether people will get on a bike and ride. 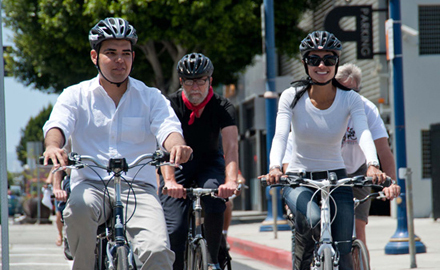 The most advanced Bicycle Friendly Communities and Bicycle Friendly Universities have a well-connected bicycling networks, consisting of quiet neighborhood streets, conventional and protected bike lanes, shared use trails, and policies to ensure connectivity and maintenance of these facilities. Secure, convenient and readily available bike parking is also a key component. For Bicycle Friendly Businesses, great bike parking in addition to showers and locker facilities are vital to promoting bicycling both in the workplace and wider community. Offering a lot of ways for people to get the skills and confidence to ride is key to building great places for bicycling. At the community level this begins with bicycle-safety education being a routine part of public education. Communities, businesses and campuses can offer options for adults looking to improve their biking skills with everything from online tips, brown bag lunch presentations and in-depth on-bike training opportunities. The League’s Smart Cyclingprogram, and more than 2,000 League Cycling Instructors around the country, are a great resource in delivering high quality education programs. It is also vital to make motorists and cyclists aware of their rights and responsibilities on the road through public education campaigns that promote the Share the Road message. Communities, businesses and universities play a critical role in encouraging people to ride by giving them a variety of opportunities and incentives to get on their bikes. 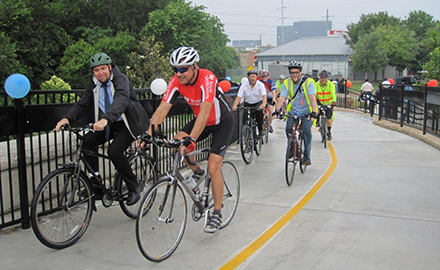 This can be done through the celebration of National Bike Month℠ and Bike to Work Day, producing community bike maps, route finding signage, bicycle-themed celebrations and rides and commuter challenges. Many places are investing in public bike sharing systems and internal fleets, which are a convenient, cost effective, and healthy way of encouraging people to make short trips by bike. Basic laws and regulations need to govern bicycling and the rules of the road to ensure safety for all road users. 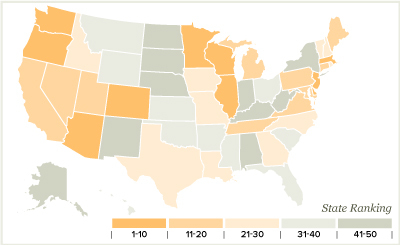 With a good set of laws and regulations in place that treat bicyclists equitably within the transportation system, the next key issue is enforcement. Law enforcement officers must understand these laws, know how to enforce them, and apply them equitably to ensure public safety. A good relationship between the bicycling community and law enforcement is essential; for example, a police representative can participates on a Bicycle Advisory Committee to increase awareness on both sides. Similarly, having more police officers on bikes helps increase understanding of cyclists’ issues. On college and university campuses, theft prevention is a huge undertaking. Having law enforcement partners and great policies in place is essential to promoting bicycling. Metrics are essential. A comprehensive bicycle master plan, in combination with dedicated funding and active citizen/organizational support is the foundation of a great bicycling community, business or university – indeed, progress without it is difficult. A successful plan focuses on developing a seamless cycling network that emphasizes short trip distances, multi-modal trips and is complemented by encouragement, education and enforcement programs to increase usage. A dedicated Bicycle Program Coordinator and an effective Bicycle Advisory Committee can play an important role in helping decision makers create, implement, and prioritize those bicycle programs and policies. Through our Bicycle Friendly Business program, employers are recognized for their efforts to encourage a more bicycle friendly atmosphere. 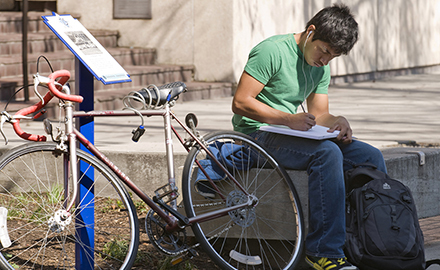 The Bicycle Friendly University program recognizes institutions of higher education for promoting and providing a more bicycle-friendly campus for students, staff and visitors.